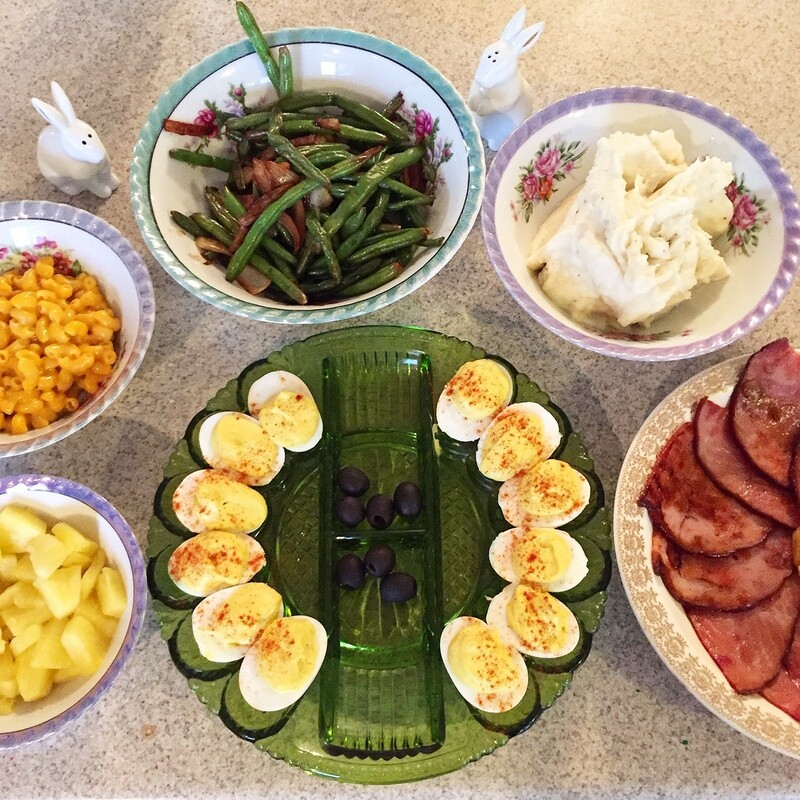 I've been busy coming up with ideas for EASY Easter food to share with you. 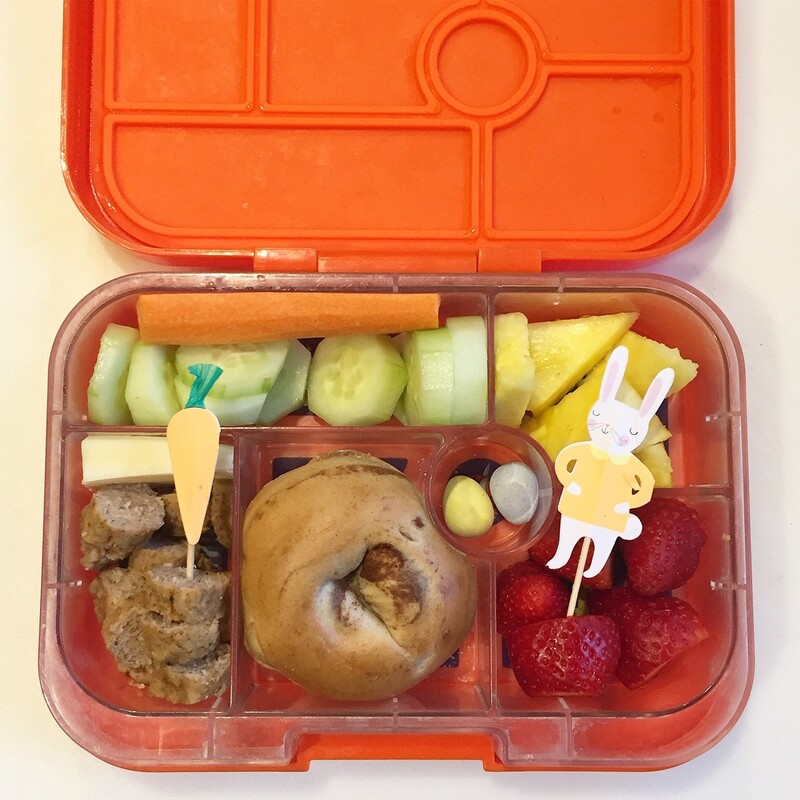 Life seems busy these days so I figured we could all use some simple Easter food ideas to do this week. 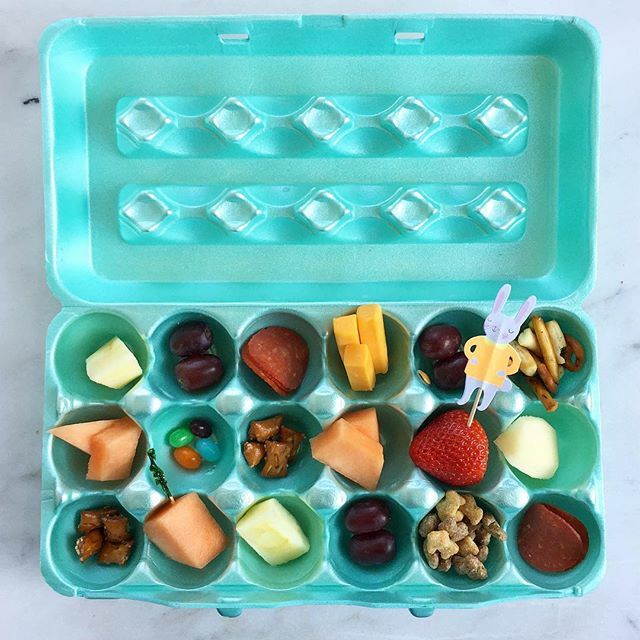 Serve your kids an Easter themed meal in an egg carton. My kids love it no matter what I fill it with. 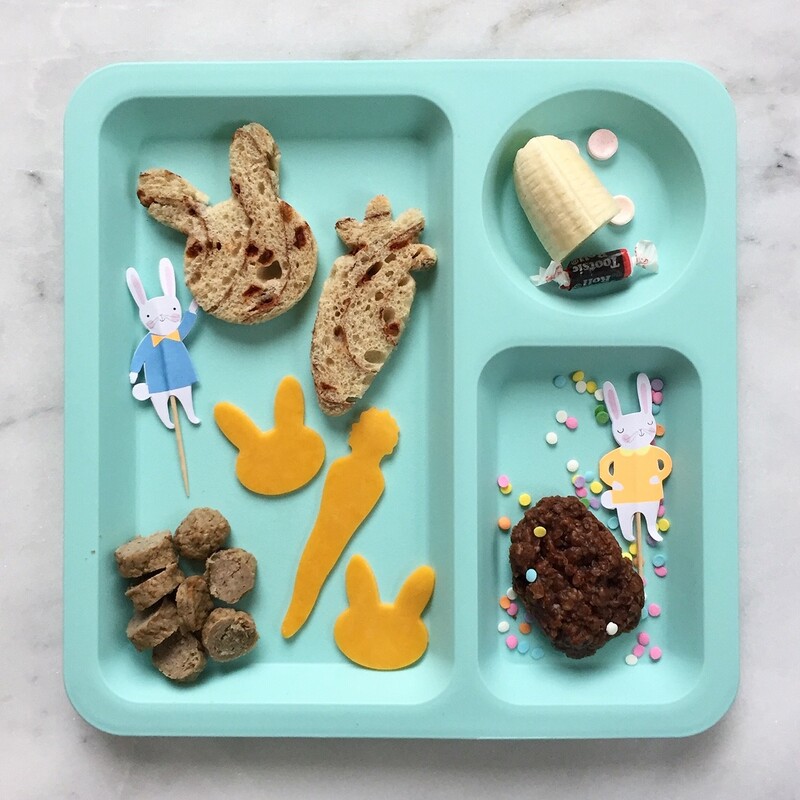 I added a few Easter touches with jelly beans, Bunny Reese Puffs and bunny tooth picks. My kids love when I cut their bread.cheese into shapes. I have a variety of cookie cutters - mini and regular size that work nicely for this. I grew up eating these and we called them Magic Marshmallow Puffs. They've become a popular Easter treat to help illustrate the story of Jesus's death and resurrection. It's a really kid friendly recipe to make with your favorite little people. We loved this menu so much that we're eating again this year. I think I'm most excited about the deviled eggs. Notice there's a lot more premade/box/precooked items than homemade?? I stick to making my favorites and then take shortcuts other places. This strategy works great when you're the only cook for a holiday and you still want to enjoy the day with your family. 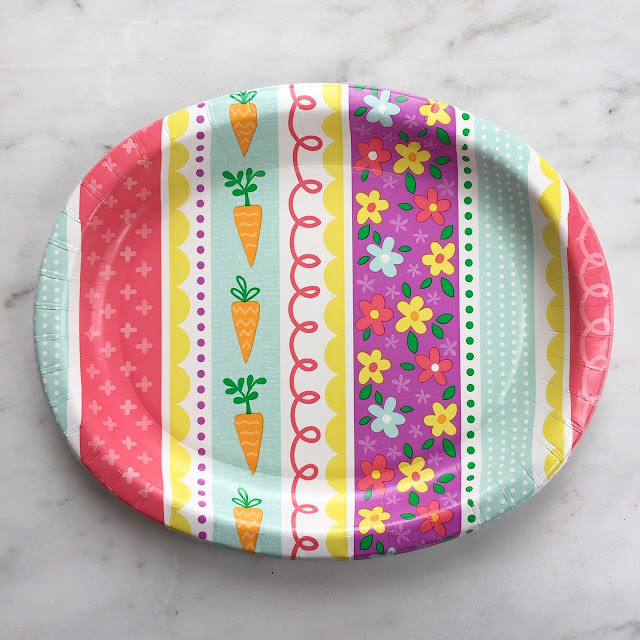 I'm going to serve as many meals as possible on these paper Easter plates this week. They're from Sams and they're my favorite!! Also, having less dishes to do is my favorite. 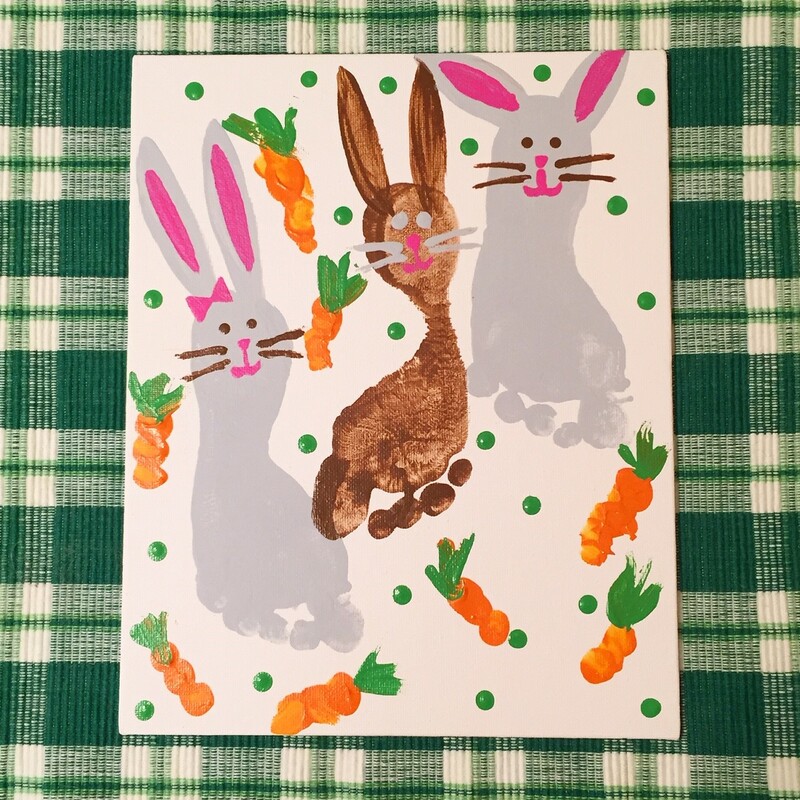 I'd love to sneak in an Easter art project with the kids, too! This bunny foot and finger print art was a favorite from right before Fletcher was born. Are you hosting Easter gatherings this year? Bringing something to share?? I'd love to know what you'll be making this week. How do you do the frozen green beans and bacon? Cook them separately and then mix it do you cook the thawed green beans with the bacon??? Thanks for your thoughts! We're hosting this weekend and I'm having a nice mix of boxed and premade AND disposable plates for sure!